The cyclonic storm ‘Titli’, which came due to the pressure on the Bay of Bengal, has become extremely dangerous today. 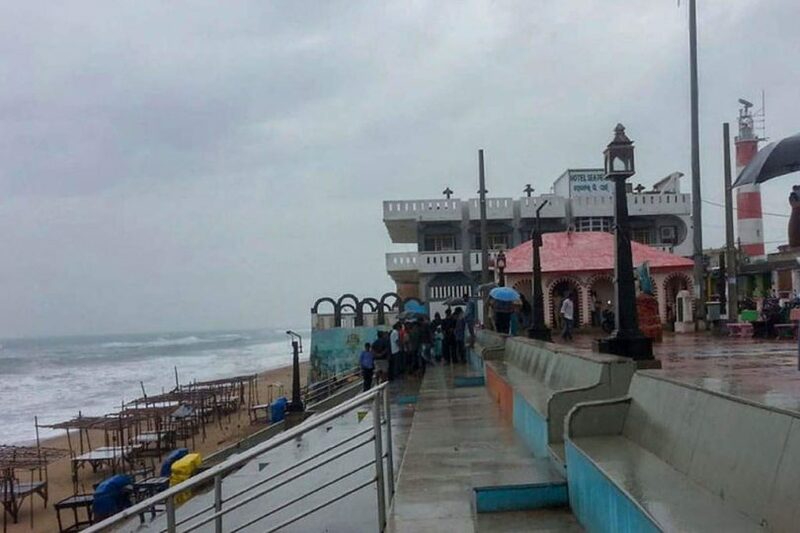 Cyclone today reached Gopalpur in Odisha. According to the Meteorological Department, winds are running at 150 kmph per hour in coastal areas. The Titli storm knocks in Andhra Pradesh too. 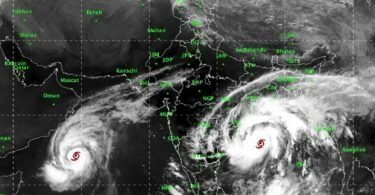 In view of the threat of cyclone by the Meteorological Department (IMD), the Odisha and Andhra Pradesh government has taken precautionary steps. People are being evacuated from low lying areas. NDRF teams have been deployed in both the states. Odisha Chief Minister Naveen Patnaik says that before the arrival of Cyclone ‘Titli’, nearly three lakh people have been evacuated to Odisha. Tourists are also being prevented from going to the shores. To prevent the sea from being dangerous, the soil is being thrown on the banks of Gopalpur so that the waves can be stopped. Special forces have been imposed for the monitoring of the police, due to the storm, the work of Gopalpur Port has also been stopped. After the storm alert, fishermen are being prevented from going to the sea because the high-rise waves can cause trouble for the fishermen. Keeping the storm in mind, there is a ban on carrying all kinds of boats in the sea. Rapid rains in Odisha’s Gajapati, Ganjam, Puri, and Yavasinghpur districts of Balasore have been predicted. Districts like Khurda, Jazpur, Nayagarh, Dhenkanal could suffer heavy rains, and there are some chances of damage in Gajapati, Ganjam, Khurda, Puri districts. Due to the Titli storm, schools have been ordered to keep closed till 12 October in coastal cities of Odisha. Apart from this, Railway has also postponed the recruitment examination in Bhubaneswar. 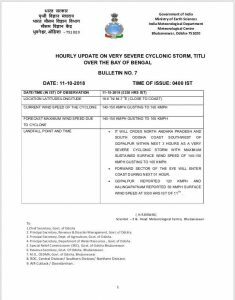 The effect of Cyclone Titli will also be seen on traffic. Even today, in the coastal areas of Odisha, the vehicles on the road are rarely seen but many trains have been canceled as a precaution. Which will affect the citizens of northern Andhra Pradesh and southern Odisha. The trains that run after 10 o’clock in the night will be most affected today.